To see an image, the light has to fall on the retinal area to form an image and send signal to our brain. In order to ensure that the light falls on the retinal area, there are two parts of our eyes that will work together. 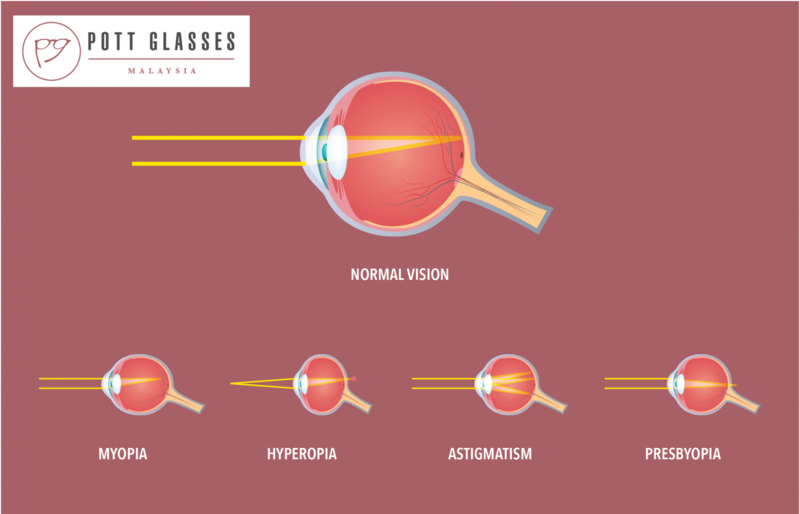 First is our cornea, and second is the crystalline lens behind our cornea. if we have long sightedness we have a power of maybe +2.00D or +5.00D. the crystalline lens has a power of -45.00D. The 2 parts ensure the correct combination of power so that the light falls on the retinal area to form image. The crystalline lens is the one with flexible power which changes based on the thickness. It is not practical to move the distance between your target and the object that you want to see. There is where crystalline lens play role. Thickness of the crystalline lens will be adjusted automatically according to the distance of the target. Eye Pain. Protect eyes from computer. Crystalline lens will become thick when see near target and thin when see far target. However, the fluctuation of the thickness of the crystalline lens become very frequent due to the usage of the electronic screens especially computer screens. Your crystalline lens get fatigue due to the long hours usage of the screens. Your eye muscles is being strained too much to change and maintain the thickness of the crystalline lens.